The Turf that was delivery were beautiful and fresh. Delivery was fast and my new lawn looks amazing and growing very fast. Ordered our lawn on the Tuesday and was delivered on the Thursday. Lovely turf also ordered some top soil bags. To remove your old lawn it is best to get a turf cutter. You can hire these from your local hire shop. 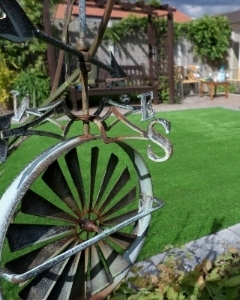 G&G Fencing and landscape supplies have been using the same turf for many years so we can assure you that our turf is the very best turf that you can buy. Our lawns are always cut fresh so it get's to you in the best condition. 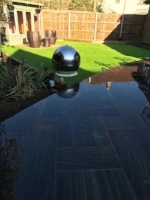 We also offer a full landscape install service. We also sell top soil in 25kg bags or in tone bags we can also cater for large orders. If you need any more information on your new lawn or need any advice you can give us a call on the number above or fill in a contact form. We can deliver to all the area listed to the side of this page. for more information on our delivery's please see our delivery page. 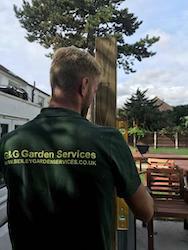 Here at G&G we are more than just a supply shop, we have been landscaping gardens for many years. If you need your new lawn installed this is a service that we offer. If you would like to install your new lawn yourself we have an install guide below for you to follow. If you do need any more advice please give us a call and we would be happy to help.